HAGERSTOWN, Md. 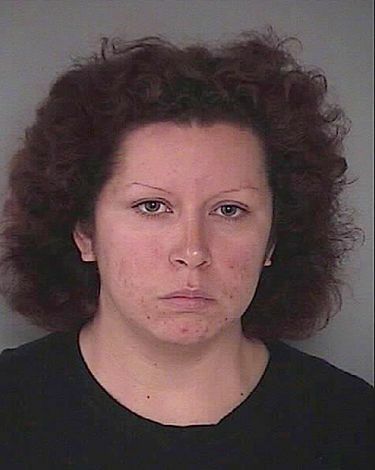 (AP) — A Maryland woman pleaded guilty Wednesday to first-degree child abuse in the 2015 beating death of her 9-year-old son over a missing piece of birthday cake. Oriana Iris Garcia was at work when her son Jack was handcuffed by her brother and beaten by her boyfriend, but she permitted the abuse and sent an ambulance away afterward, delaying medical care for hours, prosecutors said. Meanwhile, Garcia searched online for information about head injuries and child abuse, checked her email and Facebook accounts, watched pet videos and played video games, data from her computer suggest. She wore a T-shirt to court Wednesday featuring the Nintendo game character Samus. Garcia, 27, speaking barely above a whisper, acknowledged the plea deal during a 45-minute hearing in Washington County Circuit Court. Prosecutors said they would seek a 20-year prison sentence, with 10 more years suspended, at her sentencing on March 31. The maximum penalty is 30 years. Assistant State’s Attorney Sarah Mollett-Gaumer and defense attorney David Harbin declined to comment outside of the court. Garcia is the last of three defendants convicted in the case. Her boyfriend Robert Leroy Wilson, 32, pleaded guilty to second-degree murder in March and is serving a 30-year sentence. Garcia’s brother Jacob Barajas, 25, is awaiting sentencing after pleading guilty in September to first-degree child abuse. They all lived together in Wilson’s apartment in Hagerstown, 70 miles west of Baltimore. Garcia, a high-school dropout, had moved her family there from Goleta, California, several months earlier after meeting Wilson online, according to court records. Wilson had been charged in 2010 with abusing a former girlfriend’s daughter, but the charge was dropped and a related assault conviction was expunged in a plea deal, leaving him with no criminal record when he befriended Garcia. Jack was never enrolled in Maryland schools. Garcia left him home with Wilson, a restaurant cook, and her unemployed brother while she worked a retail job, according to court records. Prosecutors have portrayed Wilson as a controlling brute who sometimes boxed with Jack, ordered food withheld if the boy failed an exercise regimen and beat him with a bamboo sword for taking food without permission. In the week before the deadly assault, Jack was handcuffed for up to three hours a day because Garcia “was trying to teach Jack not to steal,” according to charging documents. On June 30, 2015, Wilson accused Jack of eating a piece of cake meant for Wilson’s visiting, 2-year-old daughter, according to court records. Barajas told police he handcuffed Jack to a wooden chair and watched Wilson repeatedly hit the crying, pleading boy with “palm strikes” to the abdomen. Garcia returned home just ahead of an ambulance summoned by Barajas, court records state. She sent it away but Wilson called for another ambulance four hours later. Jack died in a hospital five days later without regaining consciousness.